Responsible innovation requires that scientific and other expert practices be responsive to society. We take stock of various collaborative approaches to socio-technical integration that seek to broaden the societal contexts technical experts take into account during their routine activities. 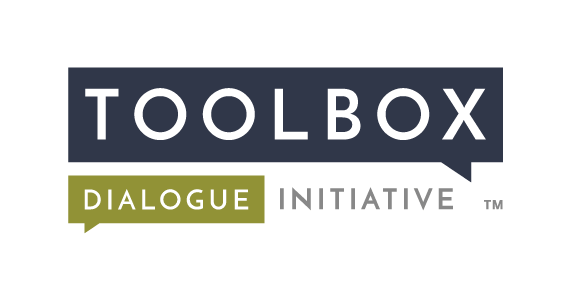 Part of a larger family of engaged scholarship that includes inter- and transdisciplinarity as well as stakeholder and public engagement, we distinguish collaborative socio-technical integration in terms of its proximity to and transformation of expert practices. We survey a variety of approaches that differ widely in terms of their integrative methods, conceptions of societal context, roles, and aspirations for intervention. Taking a handful of “communities of integration” as exemplars, we then provide a framework for comparing the forms, means, and ends of collaborative integration. We conclude by reflecting on some of the main features of, and tensions within, this developing arena of practical inquiry and engagement and what this suggests for integrative efforts aimed at responsible innovation. 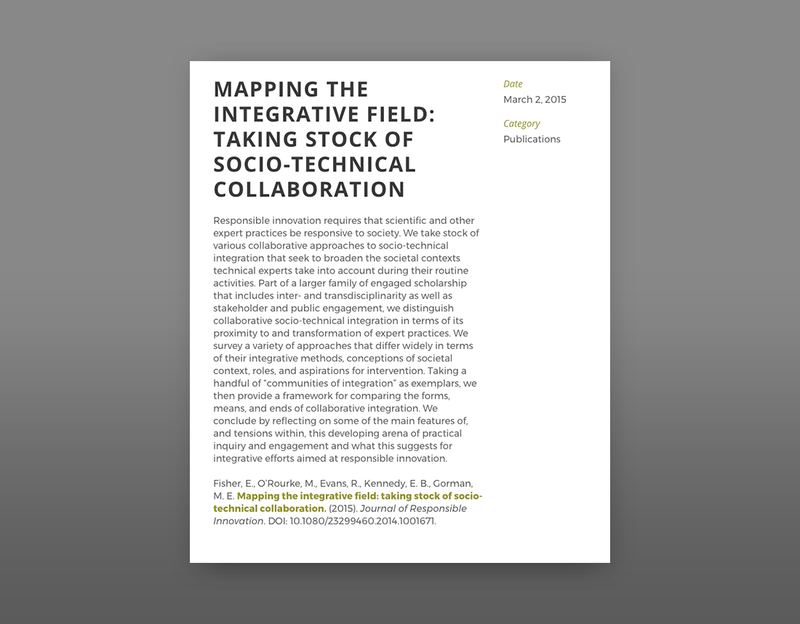 Fisher, E., O’Rourke, M., Evans, R., Kennedy, E. B., Gorman, M. E. Mapping the integrative field: taking stock of socio-technical collaboration. (2015). Journal of Responsible Innovation. DOI: 10.1080/23299460.2014.1001671.